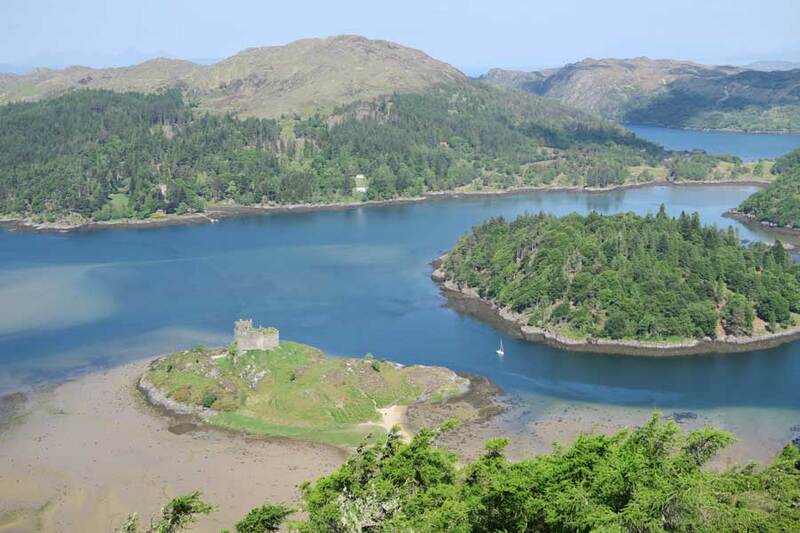 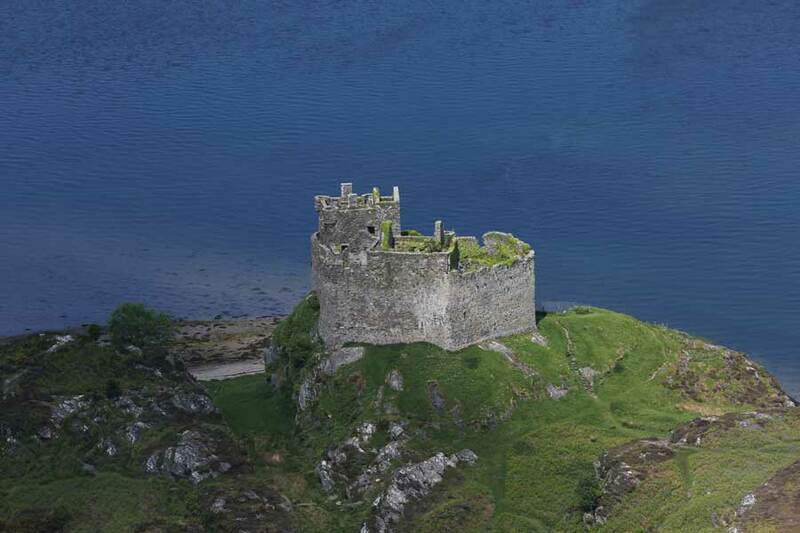 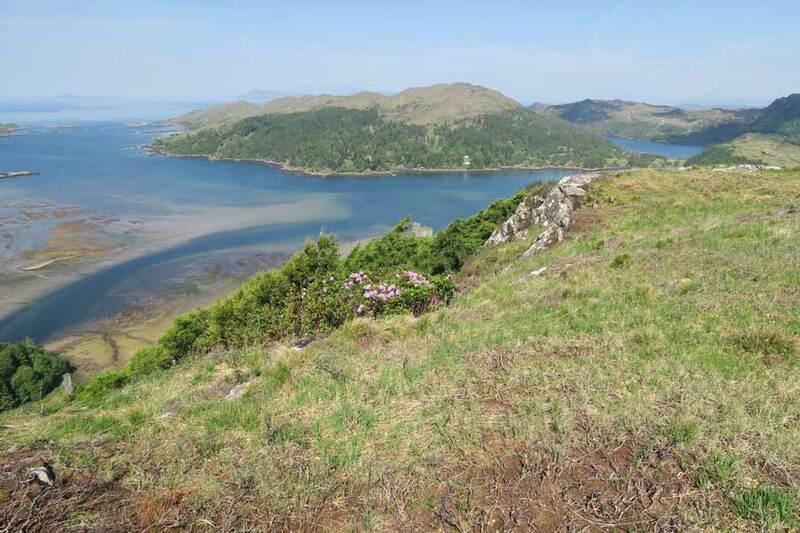 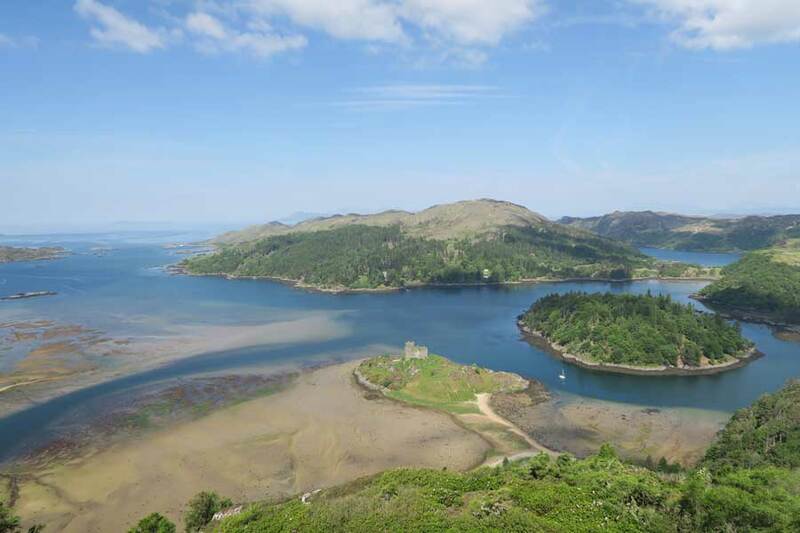 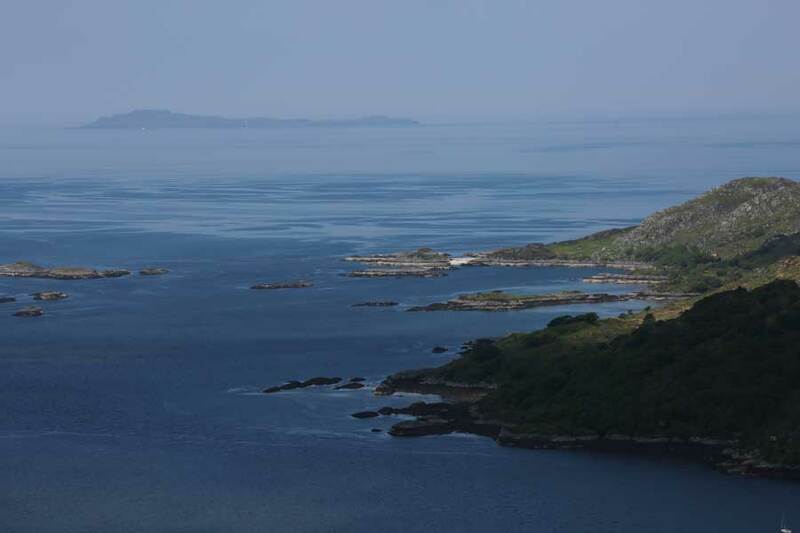 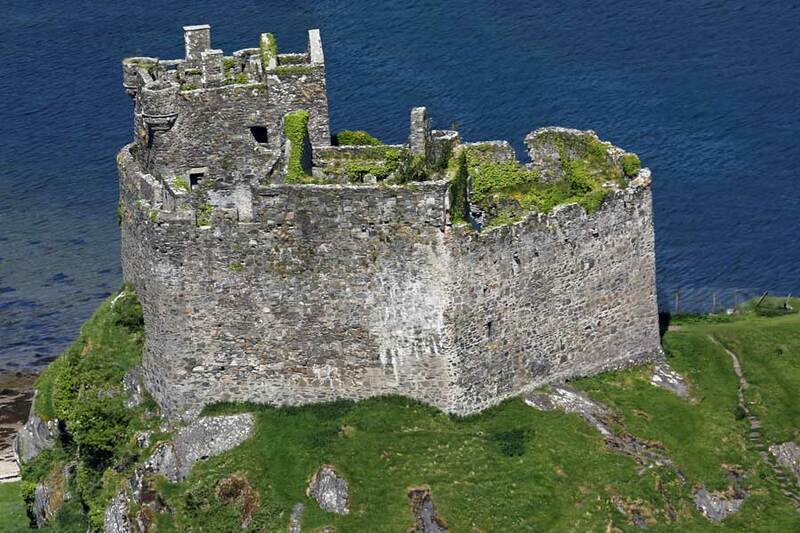 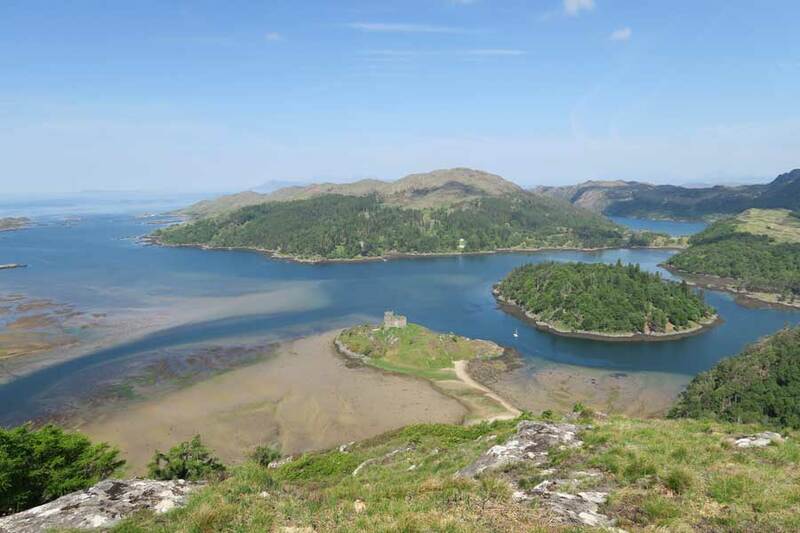 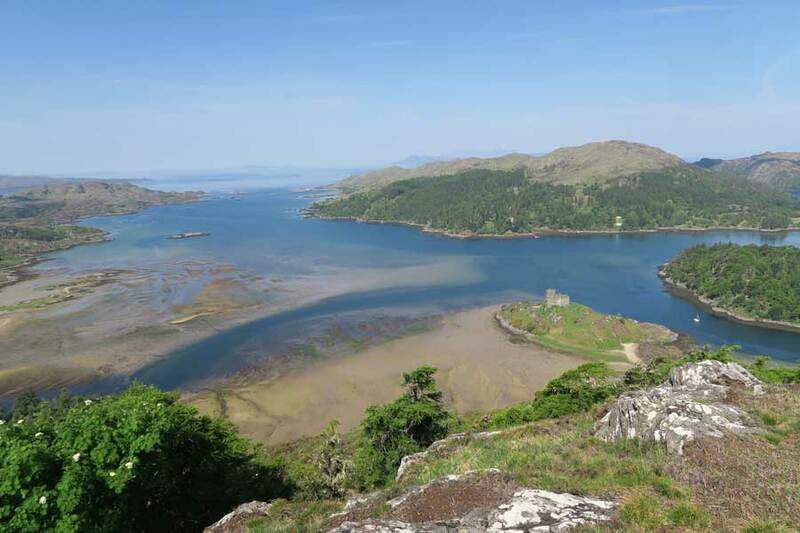 This amazing viewpoint overlooking Castle Tioram and Loch Moidart is just a short diversion from the Blain Burn or Castle Tioram Circular walks and well worth the effort for some amazing views and photographic opportunites. 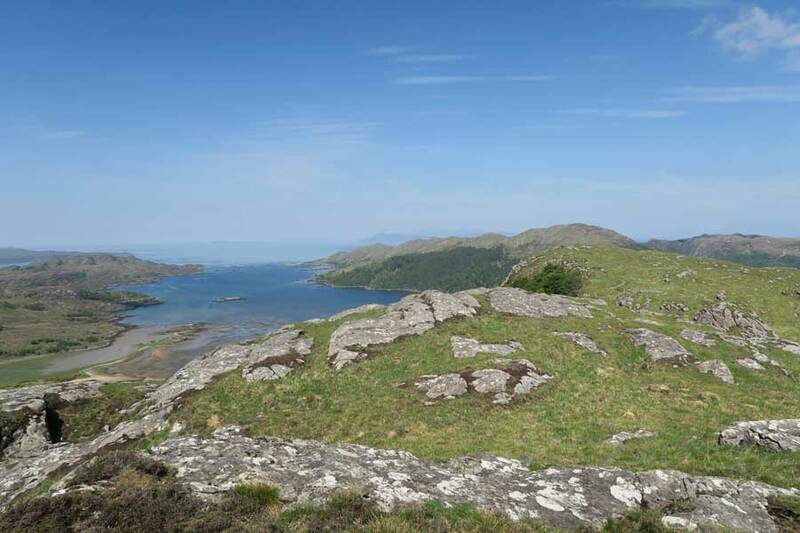 There are several routes up to the viewpoint, though we find this one relatively accessible most of the year. 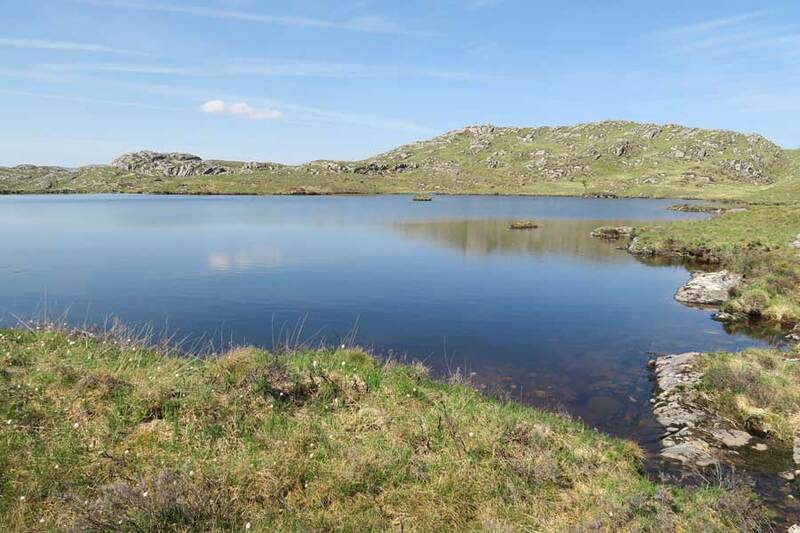 It is best done after a period of dry weather and you should be aware that you are walking over some potentially very boggy ground. 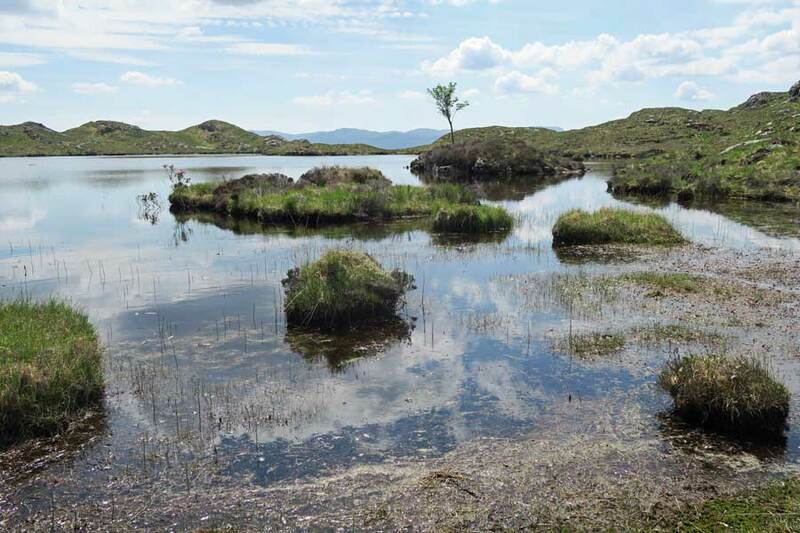 Most of the boggy areas can, however be avoided by diverting a little from the route and keeping to the higher ground. 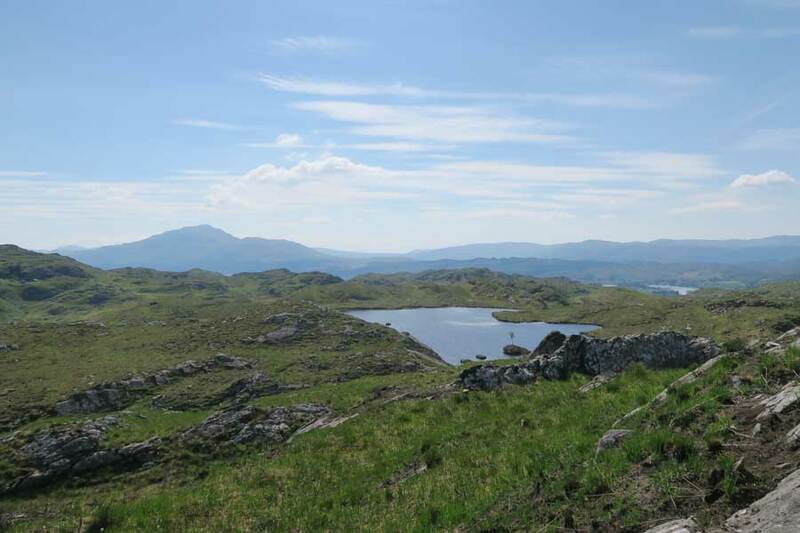 There are no paths, though naviagation is relatively straightforward using the lochan and Cruach nam Meann as landmarks. 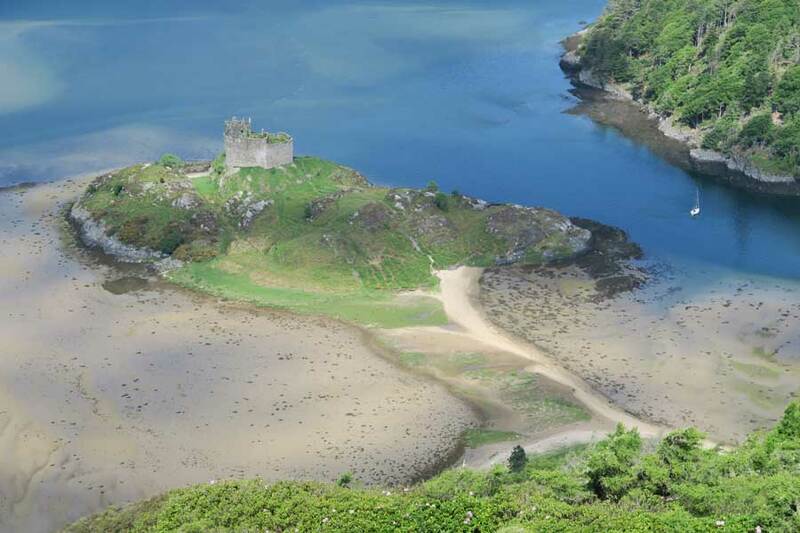 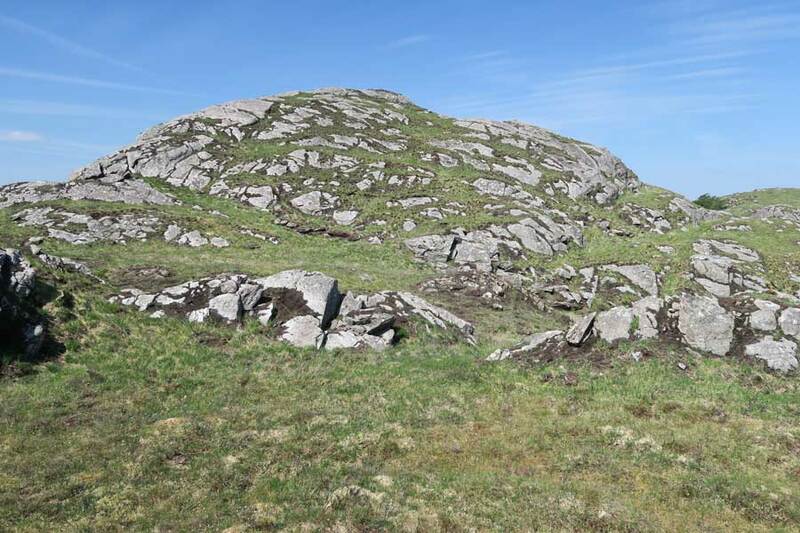 The walk is an add-on to either The Blain Burn walk of Castle Tioram Circular walk. 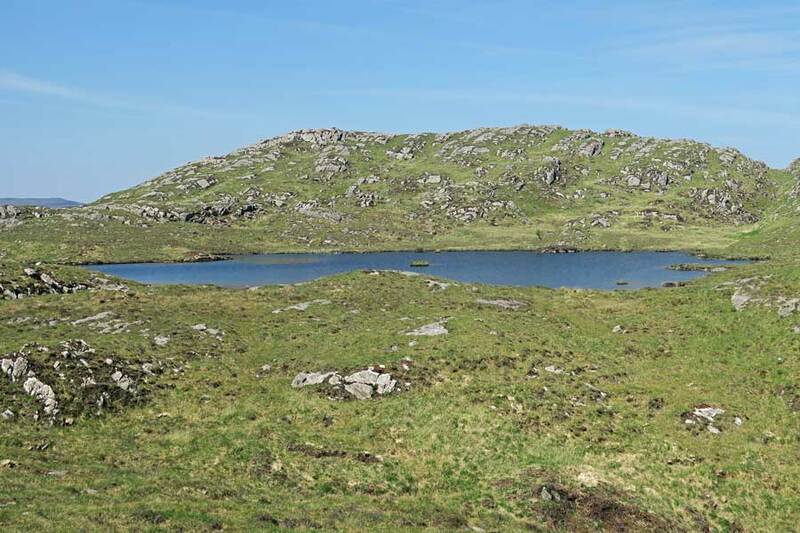 Head off the well trodden Castle Tioram Circular walk at NM675713, and head westwards over the wee hill until you see the lochan. 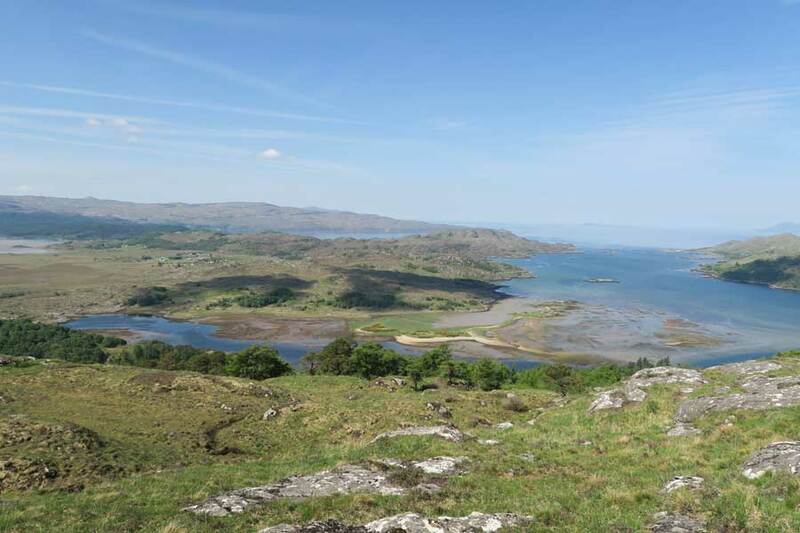 Take time to enjoy the views and return by the same route. 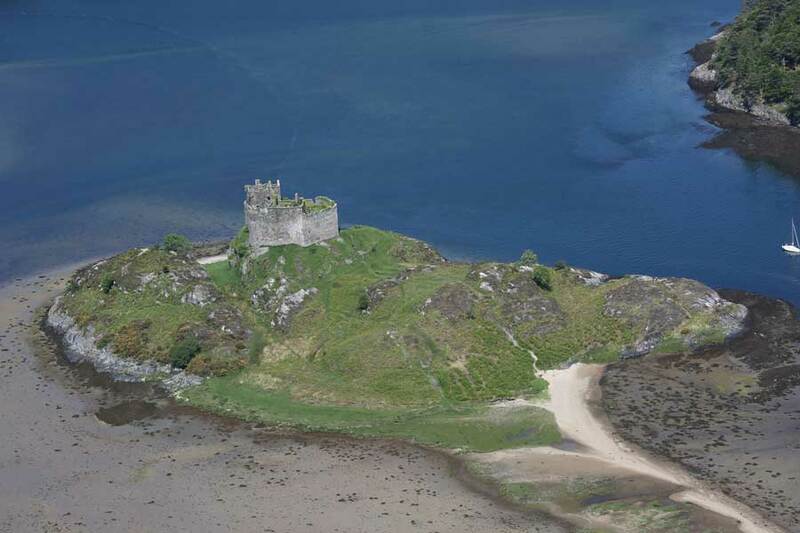 The Castle Tioram Walk is shown in green on our route plans, The Blain Burn walk in blue and The Castle Tioram Viewpoint add-on in red.